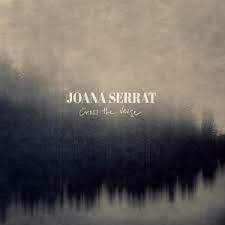 Cross the verge is the third album from Joana Serrat. The album was recorded at the analogue studio The Hotel2Tango neara Montreal - a long way from Serrat's home near Barcelona. In the studio Joana was joined by the likes of Gavin Gardiner (The Wooden Sky), Aaron Goldstein (Daniel Romano, City & Colour, Cowboy Junkies) and the acclaimed Canadian auto harpist and vocalist Basia Bulat. Elsewhere, Neil Halstead (Slowdive, Mojave 3) and Ryan Boldt (The Deep Dark Woods) joined Joana in two duets from two different approaches; the shimmering pop of Cloudy Heart and the wrought Americana of Black Lake. Joana Serrat's beautiful breathy vocals really are a joy to listen to. The music too is excellent, whether it be the Americana of songs such as "Saskatoon (Break of dawn)" or the softer sound sof songs like "Lover" or "Oh, Winter come". There's plenty to hold the attention in the music, but at the same time it never distracts too much from the vocals and the lyrics. It's a fairly diverse album with changes of pace and style, but the lovely vocals tie the songs together. It's a fantastic album that is well worth checking out.